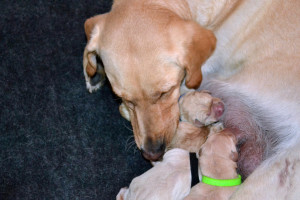 Inara happy with her first four yellow lab puppies! We currently have no puppies. Our latest litter was born September 21, 2017 from Hunter and Kaylee. Their new owners will take them home starting November 15th – just in time for Thanksgiving break. We had six males, two females, all yellow. View pictures of each pup by clicking the links below (the colors are just the color of their collar). They are currently ALL available. We bred Inara and Hunter from KB Kennels Point Labs in July 2017. Hunter is a titled pointing Labrador retriever and also an HRC titled hunting dog. Kaylee is a titled hunting dog in HRC. Both dogs hunted many times the past year. The litter was yellow lab puppies. 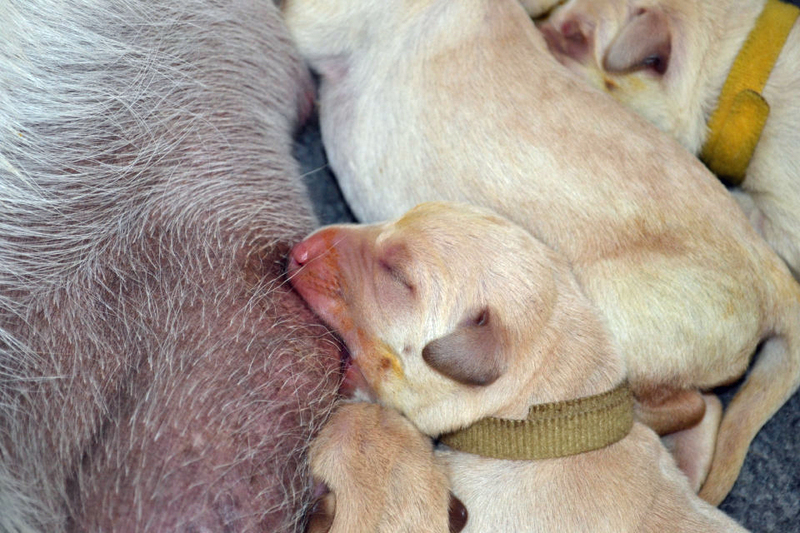 These Labrador puppies will have superb temperaments. The will have focused energy great for hunting or agility and will be highly receptive to training. Kaylee’s and Hunter’s information is available upon request, including title and health record, and pedigree. The team at Colorado Serenity Labrador Retriever works hard to bring you the best Labrador Retriever Puppies Colorado can produce. We breed one or two liters a year with proven and titled AKC and UKC registered hunting dogs. Our dams and sires are all actively used in the field. The dams and sires have healthy hips and elbows (no dysplasia), hearts, and skin and good temperaments. 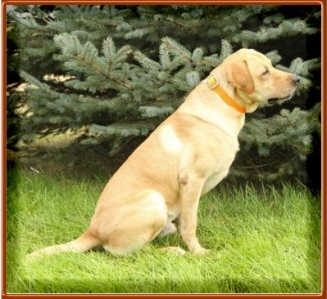 Their OFA, CERF, EIC, and CNM have been verified by appropriate labs and their certifications are posted for each litter. Our Labrador puppies are sold with full registration, microchip registered, with dewclaws removed, and vaccinations appropriate for their age. We work hard to bring you the best Labrador Retriever Puppies Colorado can produce. 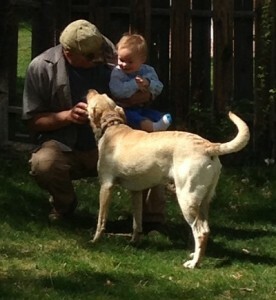 Our Labrador retrievers enjoy families as much as the families enjoy them. Our puppies are whelped in a household setting. Each receives personal attention and are socialized with people and animals very early to ensure they will be excellent household companions and pets. We carefully protect our Labrador puppies to ensure you take home very healthy puppies. For this reason, we do not allow contact with other parties until the puppies are five weeks of age. 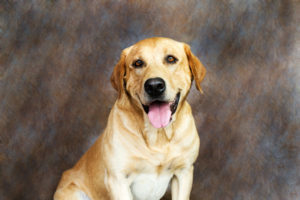 We care about the Labrador retriever you will be taking home. We will provide support and recommend training when you take your yellow lab puppies home. We highly recommend you and your Labrador retriever complete a basic obedience class. Further, we hope you will join the Platte Valley Hunting Retriever Club. This is a great way for both hunters and non-hunters to develop a great working relationship with their Colorado Labrador Retriever, and receive great coaching from experienced owners in how to train and work with your dog. 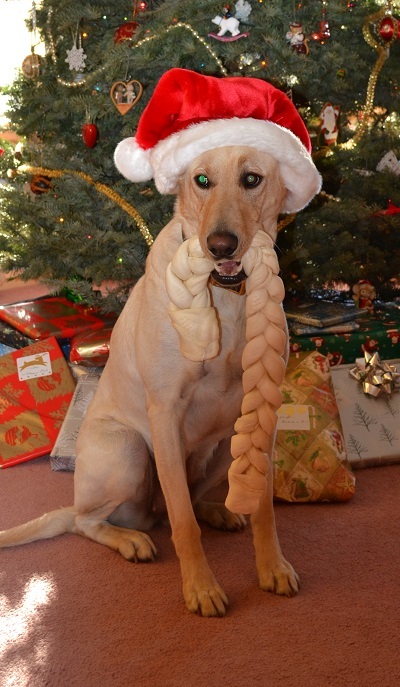 You will enjoy your Labrador retriever greatly when it is obedient, well exercised, and well socialized. We bred Inara and Tank from Plateau Labradors in January 2015. We expect puppies in late March. Inara and Tanks are both HRC titled hunting dogs, and both dogs hunted many times the past year. We expect this litter to be all yellow lab puppies. These Labrador puppies will have superb temperaments. The will have focused energy great for hunting or agility and will be highly receptive to training. Inara’s and Tank’s information is shown below, including picture, title and health record, and pedigree.